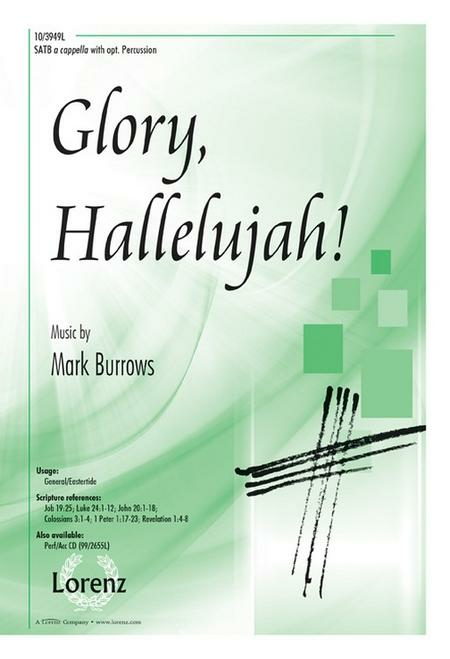 Church and school choirs will find this piece an excellent addition to their program. When it is sung too fast, the meaning of the text is lost as is the energy of the syncopation. A yearning melody and grappling harmony engulf the listener with this compelling piece. Each of the six entrances of parts represent one day of creation. Everybody shout and sing, celebrate the newborn King…i n this calypso-flavored original has an infectious rhythmic feel that just bursts with joyful celebration! The piano accompaniment, centered around the pitch c , with chords interspersed, should be played with rhythmic energy and drive. The A section grows from this simple statement to independent vocal lines expressing the text. This piece displays her skills for original composition. The basses provide harmonic support and foundation as a drone. This piece will flourish in festival occasions and services of praise to God. As in the gospel style, a drum set provides the rhythmic foundation. Based on Psams 96:1-2 and 150:6. With What Shall I Come? In contrast to the previous song, O Lord, You Have Deceived Me is a ballad that begins with a lamenting A section, contrasted with an angry B section, as Jeremiah remembers the mocking of his enemies. It is full of energy as it builds to a climactic ending that is sure to captivate audiences! Musically, Hallelujah begins serenely revealing that Jeremiah has resolved his issues with God. Cursed Be the Day Jeremiah 20:14-18. One should take care not to sing the song too fast. This spiritual arrangement includes a gospel-style piano accompaniment. It was premiered by the Plymouth Music Ensemble and Orchestra under the direction of Philip Brunnelle. It is a musical word-painting of the creation. The VocalEssence demo is more accurate in tempo. It drives home the idea that Christ was existed and was at work in creation the same was in the beginning with God. This four-movement choral work, composed in the gospel style, infuses the imagination of singer and listener alike to the great mystery and great joy that is the Trinity — Father, Son, and Holy Spirit! The unison represents the oneness of God and Christ who is the Word. An exciting, upbeat gospel song that your choir will love to sing and the audience will love to hear! A serene picture is painted in the homophonic opening section. They should be sure to accent the ihi of iHimi and move quickly to the imi. An upbeat, lively original song composed in the gospel style that is sure to please! The joyful rhythms and motivically-building lines bring a familiar spiritual quality to this original work. It is full of vigor as it builds to a climactic ending that is sure to captivate audiences. The song concludes with a peaceful abbreviation of the original theme. Armstrong conduct: beauty and passion. The Anton Armstrong Choral Series earthsongs S-419. An upbeat, lively original song composed in the gospel style that is sure to please! The release of tension created in the B section occurs at the return of the A section. In spite of his anger, disillusionment and dejection, Jeremiah is still compelled to speak. A setting of the spiritual that is full of energy and excitement! 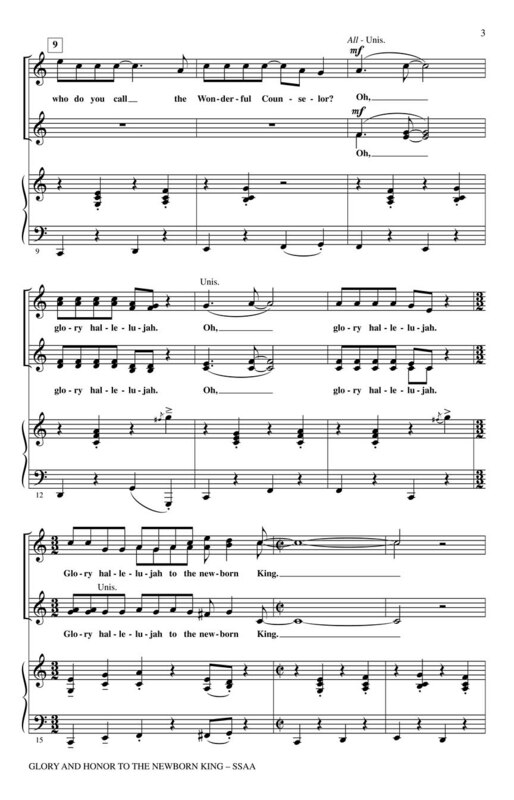 Church and school choirs will find this piece an excellent addition to their program. The contrasting B section serenely states that everything that has been made was made by Christ, the Word. Gloria Patri Performance recording and full orchestration or rhythm section scores available at JubalHouse. The dejected prophet complains, accusing the Lord of deception—making false promises of success and victory over his enemies. Wonderful concert piece, yet great for worship. 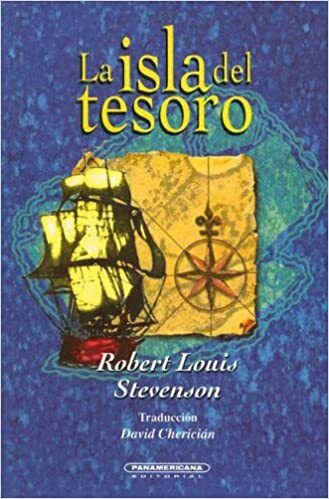 Also, slaves tended to escape during the night moving quietly and slowly in the water so as not to make noise. Then the work builds, starting with one voice part and adding the rest until all are in. 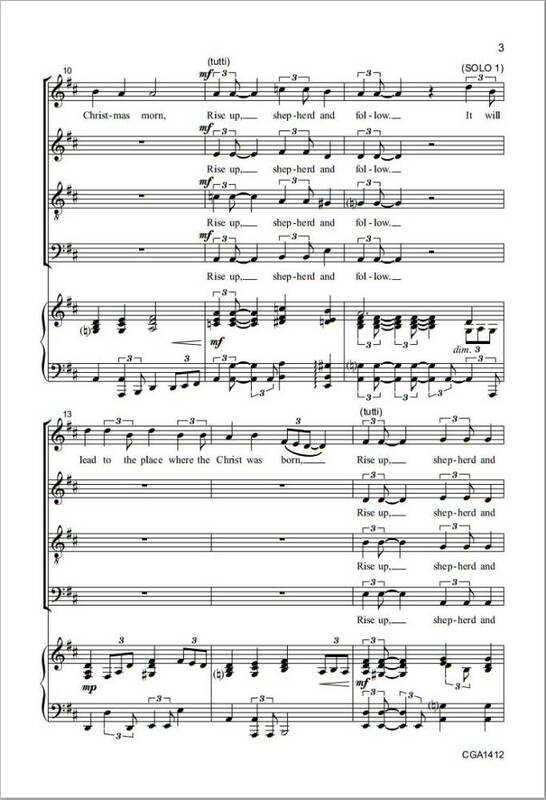 Commissioned by the downtown Minneapolis churches for their 2013 Choral Festival, this song is a brilliant fanfare opening is followed by an energetic, rhythmic chorus and a contrasting slower middle section. Premier performed by the Nashville Chamber Singers and Orchestra. However, the piano accompaniment in the B section should set up the sense of awe and stirring waters by means of the tension created in the quick repetition of middle c. However, at the time, the music department could not afford to pay royalties for a published work. It completes the vignette as David finds peace and assurance in the fact that God does hear the prayers of the righteous and comes to their aid. A return to the rhythmic chorus brings the work to a satisfying finish. This section is the climax of the piece. In answer to the question, the gifts that God requires are justice, kindness, and love. The A section of this song is full of anger which can be heard in the vocal, organ and orchestral parts—harmonically, rhythmically and melodically. It should not be sung fast since it is difficult to wade through water quickly because of the resistance of the water. The prophet Jeremiah, having experienced ridicule and imprisonment because of his prophecies, laments his present state. This is contrasted by a B section that expresses a weary prophet who longs to be silent and done with the whole matter. The B section is a return to the middle section of the opening movement.